These pieces are lovely transcriptions of two songs. 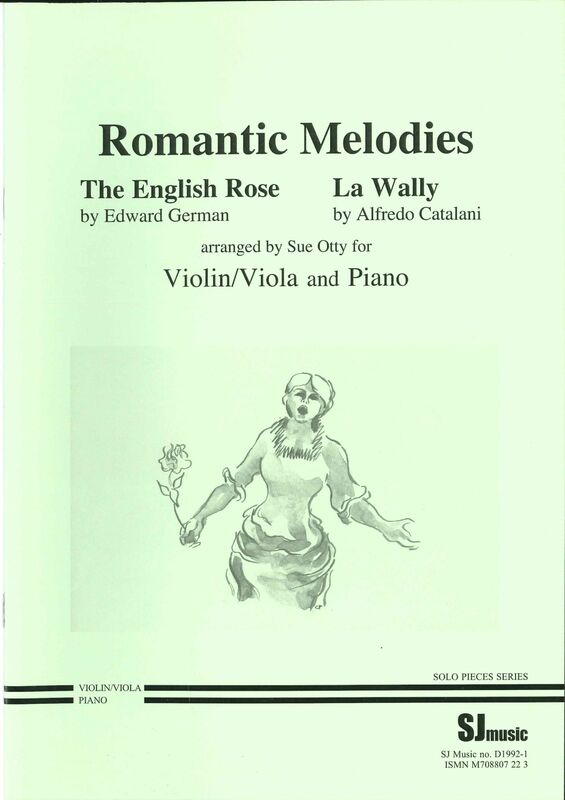 The first, English Rose, was written by Edward German Jones, an English violinist, conductor and composer born in 1862. He was musical director at the Globe Theatre in London and produced a series of compositions and incidental music for plays. He also wrote six light operas and some more serious works including two complete symphonies. The English Rose is taken from a song for tenor: ‘Dan Cupid hath a garden’, from his opera Merrie England, composed in 1902. The second piece is from Catalini’s opera La Wally, first performed at the Teatro alla Scala in 1892. This arrangement is taken from the aria: ‘Ebben? Ne andrò lontano’ (‘Farewell to my Home’). Alfredo Catalani was born in Lucca, Italy in 1854 and died in 1893. He composed mainly for the stage. The viola version is on the ABRSM Grade 5 syllabus (2015).